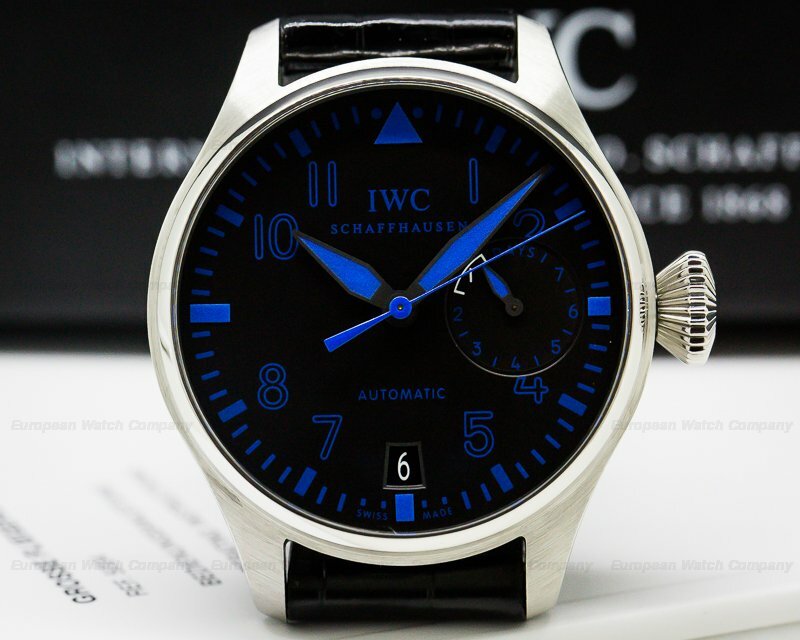 30710 IWC Mark XV White Dial (Mark 15), IW325309, 3253-09, 325309, brushed stainless steel on a strap with a brushed stainless steel deployant buckle, automatic movement, date, centered sweep blue steel seconds hand, white dial with Arabic numbers with polished raised indexes and luminescent hands, sapphire crystal, diameter: 38mm, thickness: 10.5mm, water resistant, Like New with IWC Box and papers dated 9/2009. 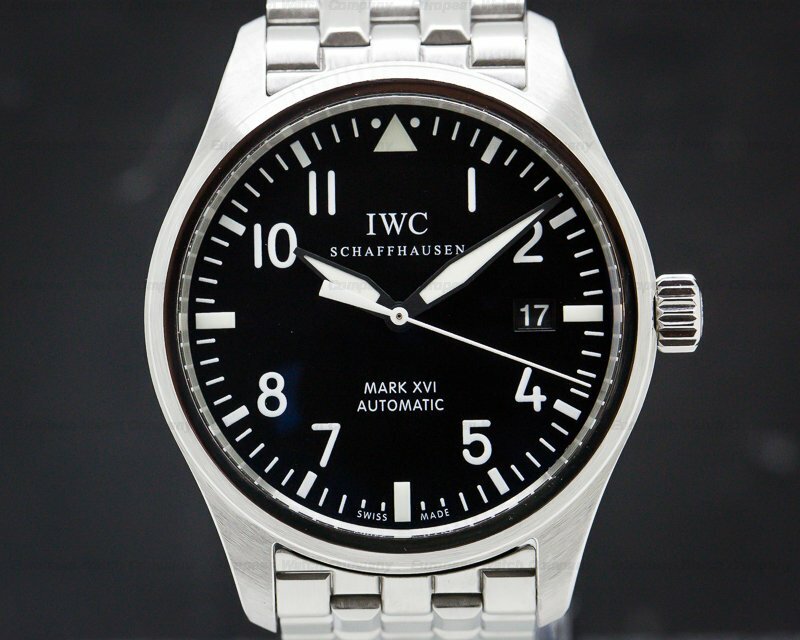 This is a stainless steel IWC Mark XV Die Fliegeruhr (Pilot's Watch) 3253-09. 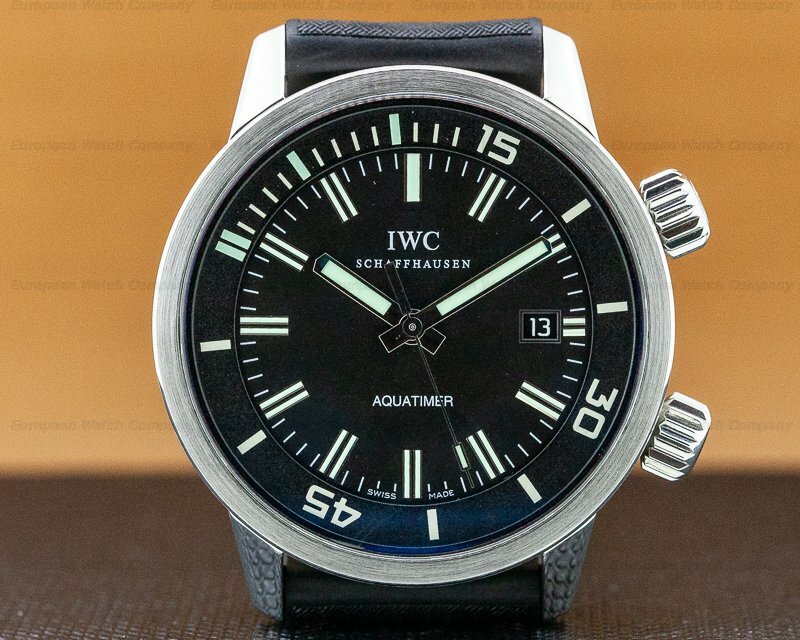 It has an alligator leather strap with a stainless steel IWC double deployant buckle, and a domed sapphire crystal secured against displacement by extreme drops in air pressure. 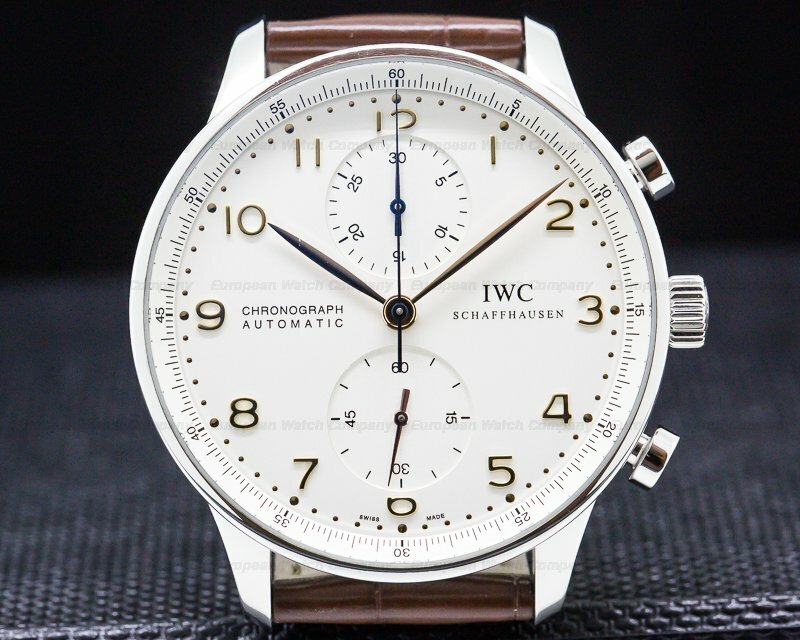 There is a solid screw-down engraved case back with "Die Fliegeruhr Automatik – IWC," and a screw-down winding crown. It has a soft iron inner anti-magnetic case. 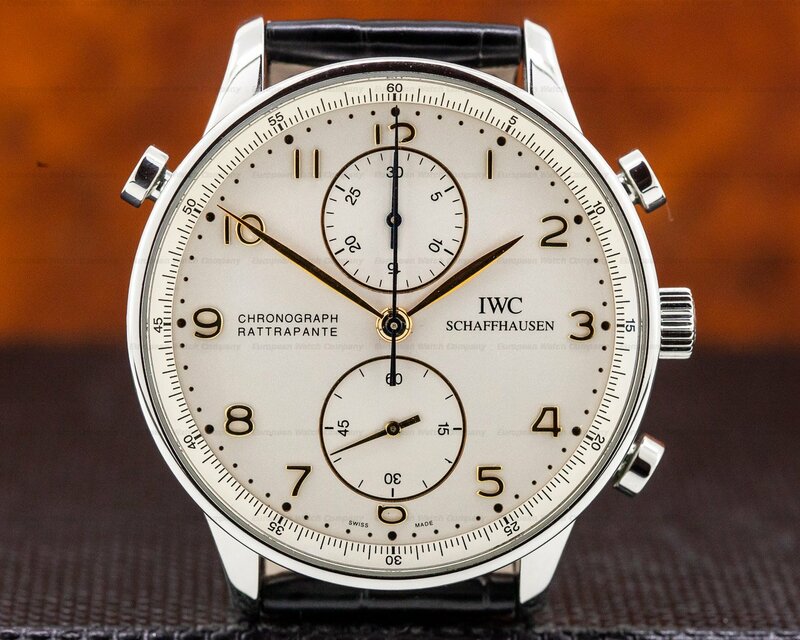 The 37.5mm diameter solid two-body case, downturned lugs, and angled bezel are polished/brushed. The dial is white with painted black radial Arabic numeral hour markers, and applied luminescent faceted baton indices on an outer minute/second track. 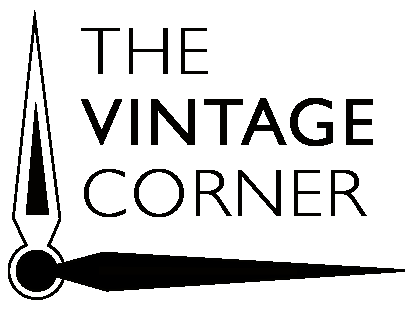 There is a square date aperture window at the 3 o'clock position, and a luminescent applied triangular marker at 12 o'clock. 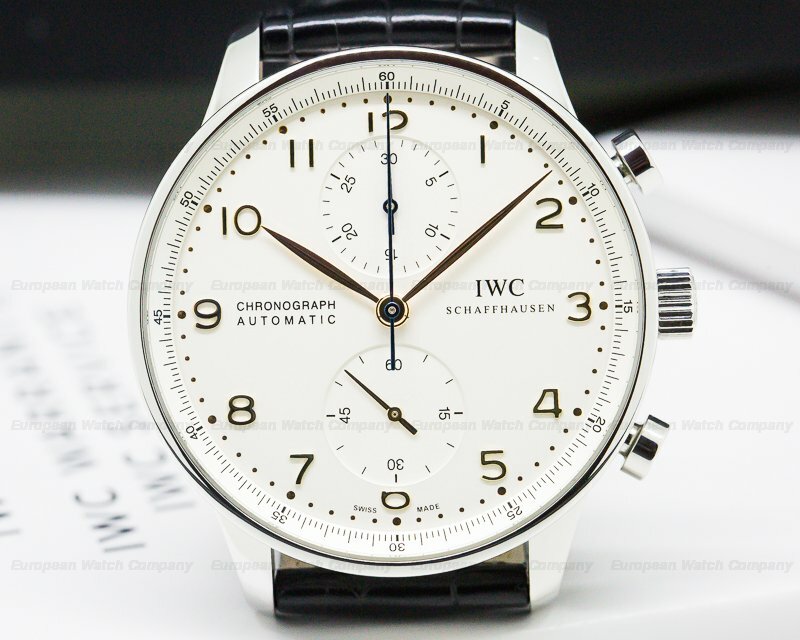 There is a central blued steel sweep second hand and luminous steel baton hour and minute hands. It has a 42-hour power reserve at full wind, and it's water resistant to 60 meters/180 feet. The 10.5mm thick case, dial, and movement are all signed. 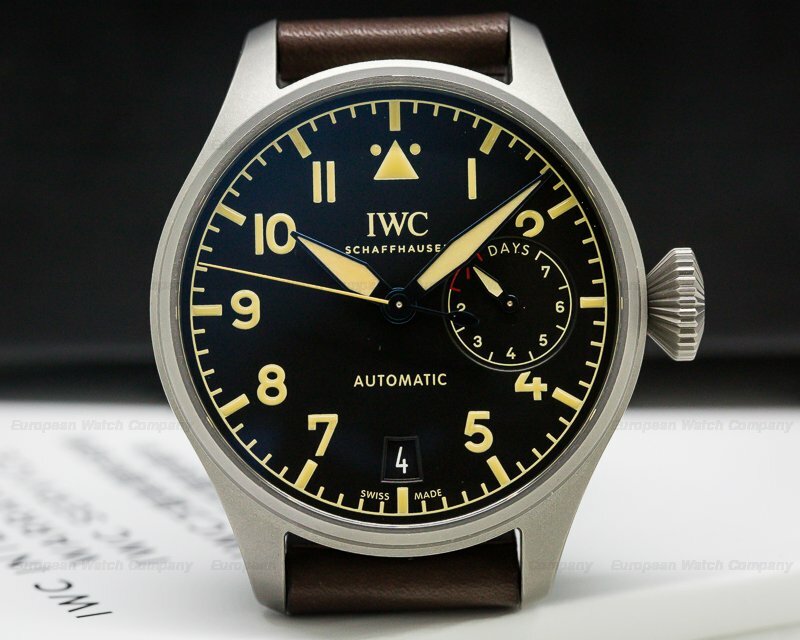 This IWC Mark XV Die Fliegeruhr (Pilot's Watch) 3253-09 has a mechanical automatic self-winding IWC Caliber 37524/30110 movement that's based on the ETA 2892-A2 engine. It's rhodium plated, and it's constructed with 23 jewels, a shock absorber mechanism, and a straight-line lever escapement. It includes a monometallic balance that's adjusted to heat, cold, isochronism, and 5 positions. 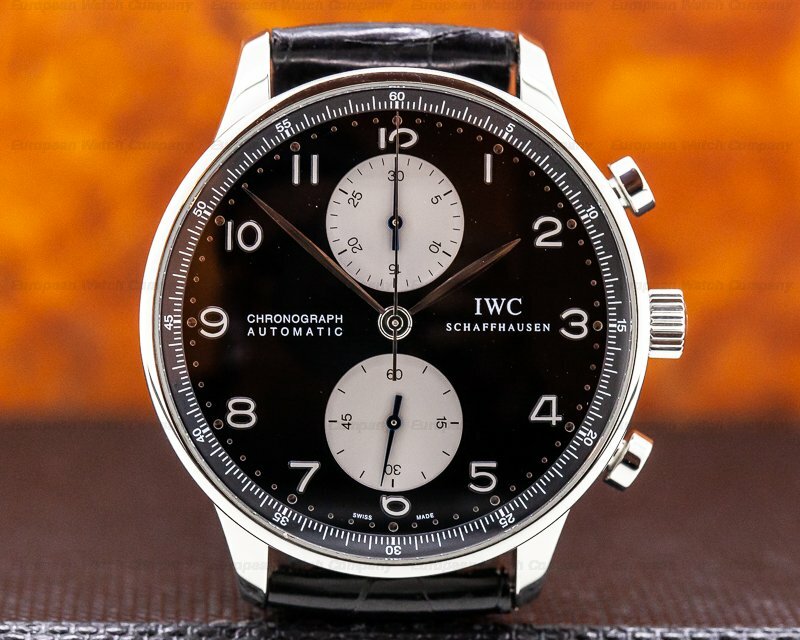 There is a self-compensating flat balance spring, and a hacking seconds device for precision time setting. The mechanism oscillates at a frequency of 28,800 vph (4 Hz). 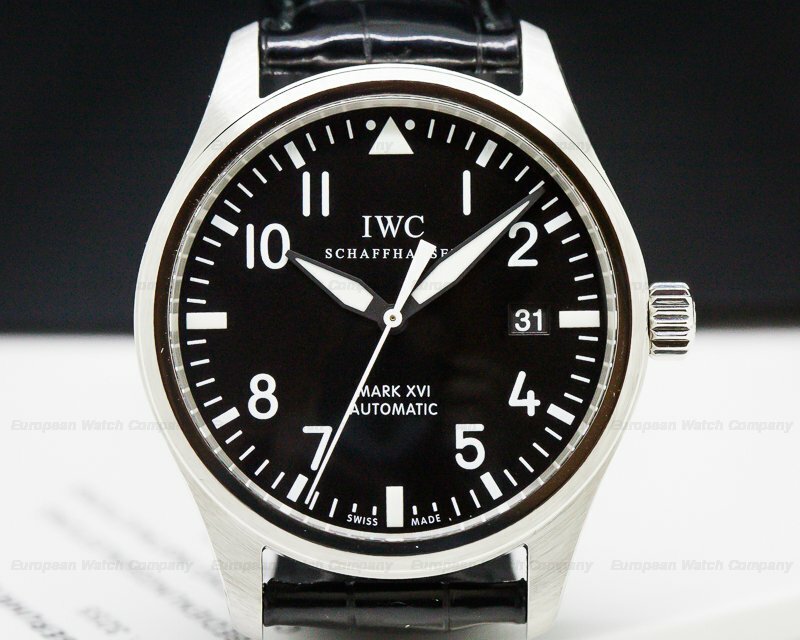 The IWC Mark XV Die Fliegeruhr 3253-09 was introduced in 1999 and production ceased in 2006. 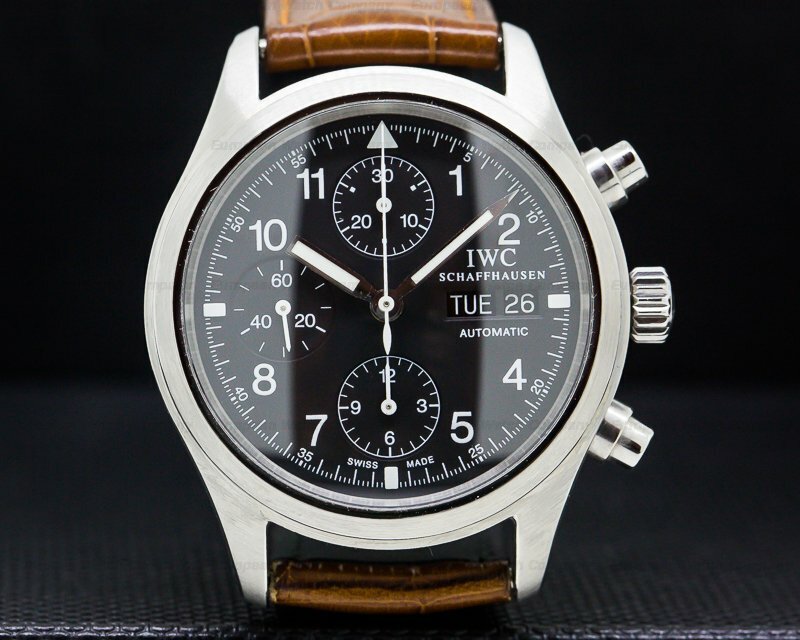 This IWC Pilot's Watch Mark XV with the white dial "Albino" variant is the most rare of all and has never been in the official catalogues.